This book explains the history of the Big Cypress Swamp and surrounding area, from the time of the Calusa Indians up to present time. The author shows special interest in the Seminole Indian wars, including the historic sites of military forts from that era. He also covers the establishment of settlements and towns within the current day Big Cypress National Preserve, that no longer exist as places of commerce. 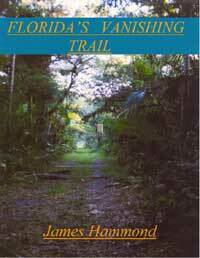 For me this book pulls together the history of the Big Cypress Swamp. From the habitation by the Seminole/Miccosukee tribes, to establishment of settlements for farming and logging of the swamp by the early settlers. The history of the towns are explained, that are now just names on a map, the settlements themselves gone in recent history. How the National Park Service is good at preserving nature and the natural resources, but does not do a good job of preserving the historic sites and the history of traditional land uses in the Big Cypress Swamp. 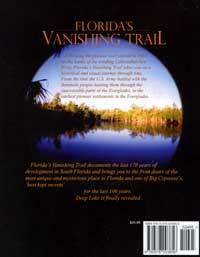 For anyone that has an interest in the Big Cypress Swamp and its history, this is a must read.